Volume of bitcoin and ether traded grew 4,500 percent on eToro. The company may consider introducing other digital currencies. Digital currency trading has exploded on eToro, an online trading and investing community. The platform, which currently supports bitcoin and ether trading, has reported significant increase in both the number of users trading digital currencies and the volume of digital currencies traded on the platform. Over the last 12 months, eToro has seen a 4x growth in traders accessing the digital currency market. Volume of bitcoin and ether traded has skyrocketed 4,500 percent. “We are constantly reviewing our offer for traders and responding to demand on the platform,” he said. Bitcoin price has risen over 18 percent this week. The digital currency is currently trading at an all-time high of $1,800 USD/BTC. “The Bitcoin landmarks are coming thick and fast now. Crossing the $1,500 mark for the first time is an important moment for the asset. The rise of bitcoin this year has been remarkable,” said Greenspan. Optimism in the market comes from recent news from Japan that over ten companies are planning to open digital currency exchanges in the country amid surging demand from investors and a favorable regulatory landscape. “It seems that the tipping point for Bitcoin will come from Japan,” Greenspan said. “The Japanese government is actively trying to devalue the yen in order to discourage people from saving money. On the other hand, they’ve just made bitcoin a legal currency for savings and transactions. If you lived in Japan, what portion of your savings would you choose to invest in bitcoin? In April, Japan passed a new law recognizing bitcoin as a legal method of payment. Bitcoin exchanges are now required to obtain a special license, and must comply with anti-money laundering/know-your-customer requirements. Starting in July, Japan’s consumption tax will no longer apply to purchases of digital currencies. Optimism was also encouraged by renewed hope that the U.S. Securities and Exchange Commission (SEC) could approve the bitcoin exchange-traded fund (ETF) proposed by Cameron and Tyler Winklevoss. The SEC is currently reviewing its earlier decision to reject the bitcoin ETF. The proposal involves listing the ETF on the Bats BZX exchange, one of the largest U.S. equities market operator. Bats filed a notice of petition to review the SEC decision, which was accepted on April 24. “The recent debate over whether to introduce a bitcoin ETF, for example, is the sort of news that will continue to put previously mysterious cryptocurrencies on the map among traders,” said Greenspan. Trader sentiments toward both Bitcoin and Ethereum have remained consistently bullish on eToro. 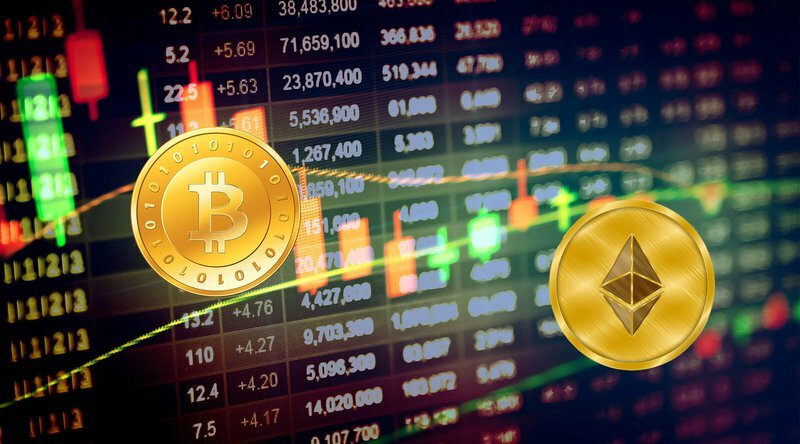 Bitcoin has seen 15 consecutive months of over 80 percent of bitcoin traders buying the asset, whilst sentiments toward Ethereum have been even higher with well over 90 percent of ether traders buying the asset since its launch on the eToro platform in March this year. The price of ether rose 566 percent in the past three months, surging from $15 per ether in March to cross the $100 mark last week. eToro is a social trading and multi-asset brokerage company with offices in Cyprus, Israel and the U.K. Serving over 4.5 million users, eToro provides a marketplace for people to trade contracts for differences (CFDs) in currencies, stocks, commodities, indices and ETFs. Its patented CopyTrader technology allows users to copy the trading strategies of the platform’s most successful traders. eToro launched bitcoin trading in early 2014. Next PostNHS ransomware attack: Which hospitals have been affected?